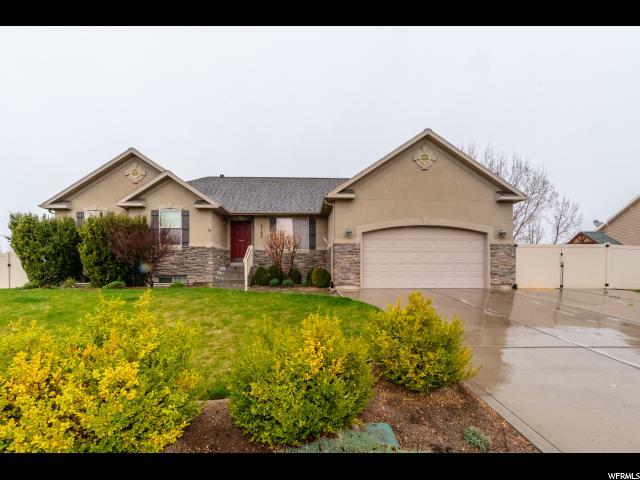 All OLDHAM ACRES homes currently listed for sale in Lehi as of 04/18/2019 are shown below. You can change the search criteria at any time by pressing the 'Change Search' button below. "Beautiful south facing home located in Lehi near dining, entertainment and easy access to pioneer crossing. This home has vaulted ceilings and large windows giving it a light and bright open floor concept that's perfect for entertaining. Kitchen has granite countertops and stainless steel appliances. Large master suite with walk-in closet and jetted tub. Main floor level laundry room with cabinetry. Massive family room downstairs with built in speakers and surround sound play area for younger children. Large bedrooms throughout home. Fully-fenced and well manicured landscaped backyard. Huge RV pad complete this home."